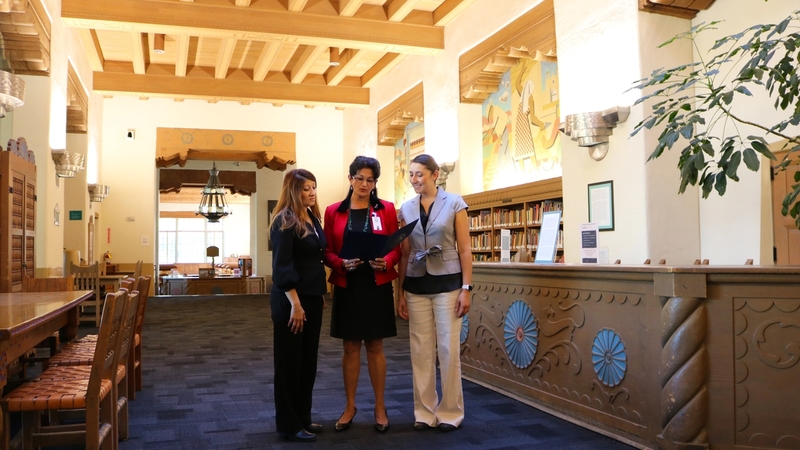 Two graduate students in the Organization, Information and Learning Sciences (OI&LS) program at UNM were recognized for their online platform that supports Veterans' education benefits. 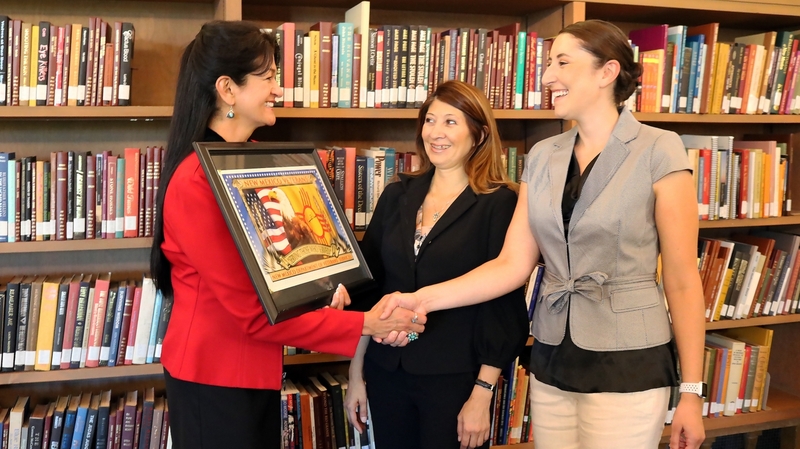 Mandy Dykman with the New Mexico Department of Veterans’ Services thanked the students on behalf of Cabinet Secretary Fox for preparing an online guide for Veterans, their family members and also for school certifying officials and educators. 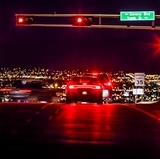 The complex web of benefits available to Veterans in New Mexico has just become a little easier to navigate with the help of two graduate students in the Organization, Information and Learning Sciences (OI&LS) program at UNM. OI&LS students Brianna Cristo and Gina Montoya worked with Marilyn (Mandy) Dykman with the New Mexico Department of Veterans’ Services to develop a sustainable set of short and interactive on-line training modules to help Veterans and their family members learn more about the many education benefits available to them. The main objective for the project is to help Veterans and academic leadership understand federal and state benefits available to Veterans in order to determine their education path. 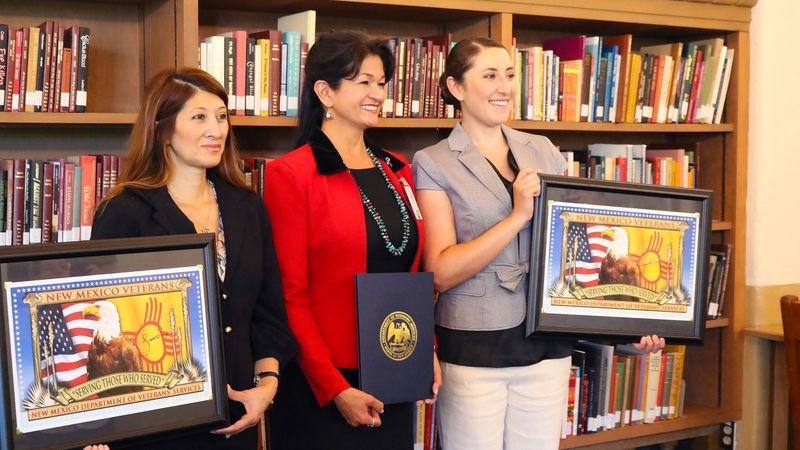 The project was so successful and well-received that Cristo, Montoya and Svihla were presented with certificates and letters of appreciation from the Secretary for Veterans’ Services. As part of two of Professor Vanessa Svihla’s courses – Framing Designs for Learning and Prototyping Designs for Learning – The OILS courses provide students with a scaffolded learning experience, specifically to conduct a final group project for each course. This group project teaches students to use quick, design thinking to organize a needs assessment of the client’s problem statement with a precise problem definition. The problem definition addressed task and content, context, and learner analysis. 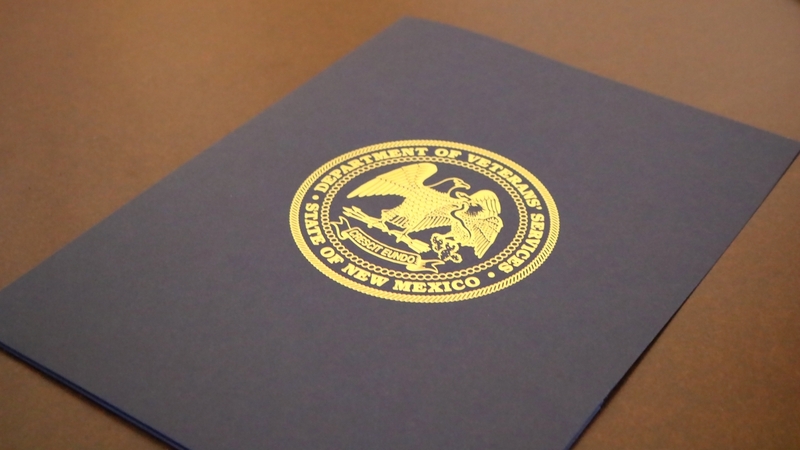 To support the New Mexico Department of Veterans Services (NMDVS), Cristo and Montoya first interviewed the Dykman who wanted to augment the delivery of a recently developed education and vocational guide about Veteran education programs. These programs include: training of GI Bill education benefits, approved postsecondary and non-credit degree schools, On-the-Job Training (OJT), Apprenticeship, Vocational Flight programs and licensing agencies regarding benefits available for Veterans. Dykman’s vision for delivery was the creation of online training, which all approved institutions and Veteran organizations can access to help Veterans make informed choices when choosing a school that will meet their academic goals. A secondary goal for the training was to provide tools to school certifying officials to better advise their students. 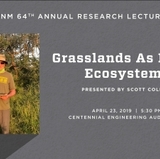 With added support and feedback from the UNM Veterans Resource Center and its new Director Alonzo Maestas, the students spent up to 15-hours a week learning, conducting research and interviews while incorporating the valuable skills acquired from Professor Vanessa Svihla’s instruction during the two courses to design and develop a product to meet the NMDVS needs. 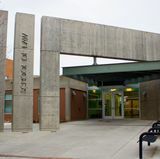 Once the project was finished, NMDVS had a functional online tool that provides a virtual learning environment that combines digital tools, text, audio, and video.